The success of Dan Brown's The Da Vinci Code is quite mind blowing. It's now considered one of the most popular books of all time and has sold over 81 million copies around the world. It's hard to imagine how such a successful author can prepare himself to write the next book in the Robert Langdon series under such a heavy weight of expectation. But, he's done it. 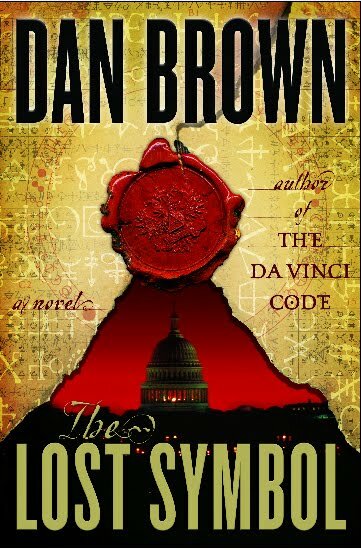 In the beginning of The Lost Symbol, Robert Langdon flies to Washington D.C. under the impression he'll be making a presentation at the U.S. Capitol, however that all changes very quickly when he realises his mentor has been kidnapped. Langdon is forced to decode the secrets of the Freemasons in order to save his long time friend Peter Solomon. The plot structure is extremely reminiscent of The Da Vinci Code, as the reader is taken on a rollicking ride of secrets and symbols within landmark buildings in D.C - sometimes hidden and sometimes in full view of the public. The plot wouldn't be complete without an evil bad guy with delusions of grandeur and a deadline to increase the tension. It's very easy to understand why Dan Brown has opted to use the same literary recipe that brought him so much success with The Da Vinci Code, and I can't really blame him for it either. I can also understand why he draws such criticism from the literary world, however for me, I was more than happy to settle back into his familiar rhythm. I immensely enjoyed discovering the history and symbology with Langdon in Washington D.C. although I longed for a visual of the art, symbology and architecture that seemed to ignite every page. The focus on Freemasons was illuminating and intriguing although of course I couldn't say how close to the truth it really is. In this case, I was more than happy to submit myself to the story, leaving all literary expectations at the door. 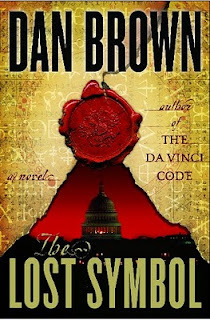 Surprisingly, I believe The Lost Symbol is just as good as The Da Vinci Code, although I doubt it will sell as many copies. I highly recommend it to readers who enjoy a thriller.